We have two types of courses for you to choose from. Intensive Course and Standard Course. Both courses are taught in small groups with 2-10 participants. We don't offer private classes as our teaching style works best in groups. If you really want to learn Thai you should choose our Intensive Thai Language Course. You will learn how to speak and understand Thai as well as read and write. This is a full time course with five lessons per day Mondays to Fridays. 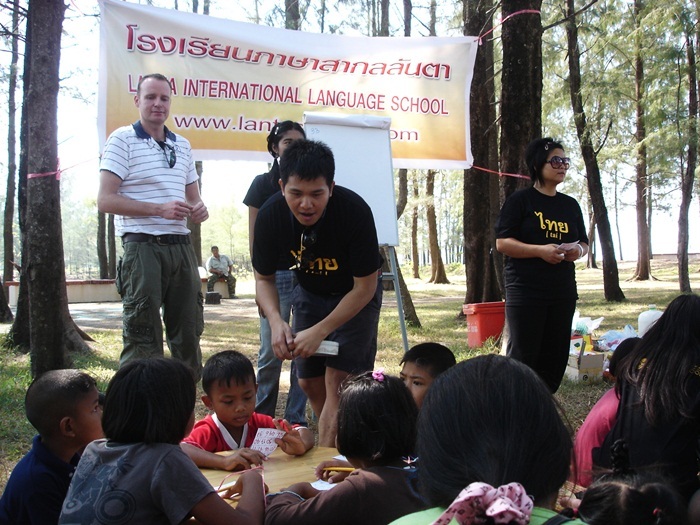 In our Standard Thai Language Course you will learn how to speak and understand spoken Thai. You will not learn how to read and write. This is a part time course with lessons twice a week, two hours per day. We also have a few free video lessons on YouTube for you to check out.